NOTE: This review is available as a downloadable MP-3 audio file (23 mB, 16-min, $1.99). Many people know that monitoring their heart rate during exercise helps them determine how hard they are working. And others know that exercising at an intensity that keeps their heart rate in a specific range will result in a "training" effect. But, recently, new research has revealed other ways you can use your heart rate to determine not only how hard you are exercising, but, also how healthy your cardiovascular system is. This review will discuss 4 different ways you can use your heart rate to monitor your fitness. Your personal trainer may not even know some of these details. Before you can calculate your training heart rate, you first need to determine your maximum heart rate. However, several years ago, researchers in the department of kinesiology and applied physiology at the University of Colorado in Boulder noticed that this equation underestimated exercise heart rates in older subjects. Hirofumi Tanaka, PhD, and his group conducted an exhaustive review of 351 studies involving nearly 19,000 subjects and derived a new formula. They then validated it in 514 healthy subjects. In 40-year-old subjects, both formulas yield the same result (ie., 180 beats per minute). The Tanaka equation produces slightly lower limits (than the old one) in subjects younger than 40, and raises the limit slightly in subjects older than 40 years old. Other formulas exist. However, Roy Benson, MPE, and Declan Connolly, PhD, authors of the excellent book Heart Rate Training, claim that these formulas are nearly worthless. They point out that the size of the heart in adults is variable and that this impacts on the maximum HR that can be achieved. Thus, they feel that the only precise method for determining maximum HR is with an "all-out" effort. An all-out effort can be very risky in anyone other than an elite athlete. So, for that reason, using formulas that estimate maximum HR are the way to go. But, let's say you're not interested in winning your age group in next month's neighborhood 10-K; you are only exercising for health reasons. In this case, you still need to know your maximum heart rate. 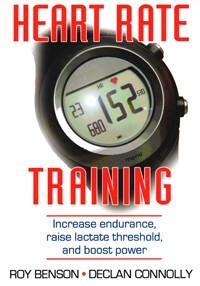 Knowing your maximum HR allows you to determine your "training" heart rate, which is explained below. There's also a medical use for knowing maximum heart rate. Cardiologists have determined that the inability to attain a target heart rate during exercise appears to be an ominous predictor of mortality. Researchers at the Cleveland Clinic found that patients who could not reach at least 85% of their predicted exercise heart rate had a higher risk of death (Lauer MS, et al. 1999). As mentioned above, an "all-out" test is the most accurate way to determine maximum HR in an athlete. However, each athlete should be tested in an activity that most closely matches their chosen sport. Four of these methods are summarized below. During the last minute of running, you should be at your maximum heart rate. Use a running track, or a gradual incline that goes for about 400-600 meters. Do a good 0.5 to 1-mile warm-up. Run 1 lap on the track, or, 1 lap up the incline as fast as you can. Allow 2 minutes to recover. Walk or jog during this period. Repeat the run test a 2nd time. Repeat the run test a 3rd time. Assess your HR at the end of this run. Find a route that requires a strong climb for 600-1,000 meters, and, a flat section that allows for a 2-to-3-mile recovery. Warm up by riding for 5 - 8 miles. Climb the hill as fast as you can. During the final 70 - 100 meters, get out of the saddle and push as hard as you can. Recover by riding on a flat section for 2 - 3 miles. Repeat the climb and recover again. Climb the hill a 3rd time and assess your HR. Perform a 500-yd warm-up at a slow-to-moderate pace. Swim 100 yards as fast as you can. Repeat the 100 yard swim as fast as you can. Repeat the 100 yard swim as fast as you can and assess your HR. Warm-up by rowing for 15-minutes at a moderate pace. Perform an all-out 2000-meter effort and record your HR. Serious endurance athletes (triathletes, distance runners, etc.) will train mostly at the aerobic training pace. About 10% of their training will be at the lactate threshold pace. Extremely-intense "intervals" make up only a small percentage of the overall training plan. 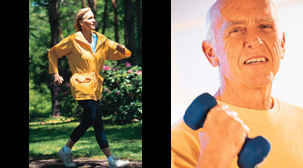 Training heart rate is also helpful for people who want to exercise for health benefits. Research shows that untrained individuals will begin to improve their aerobic fitness when they exercise regularly at 50% of their maximum heart rate (Pollock ML, et al. 1998). For example, for a 60-year-old person, the maximum heart rate (using the Tanaka equation) is 166. Fifty percent of that is 83 beats per minute. Thus, exercise does not need to be exhausting to achieve a health benefit. Active.com has a nifty Target Heart Rate Calculator. Last but not least, the 4th way you can use your heart rate to monitor your exercise program is to simply take your pulse while at rest. Resting heart rate is an indication of your aerobic fitness, and, also, if you have recovered adequately from yesterday's training session. One of the dramatic things that happens to your heart when you become aerobically fit is that your heart pumps more blood with each beat. This is known as "stroke volume." Since more blood is pumped with each beat, the heart doesn't need to beat as fast, so, resting heart rate is slower. You may have heard of marathon runners who have resting heart rates in the 50's, or, even in the 40's. Generally, this is a sign of a strong heart and a healthy vascular system. 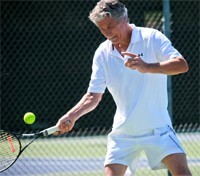 In the 1970's, the great tennis player Bjorn Borg was reported to have a resting HR in the high 30's. When cyclist Lance Armstrong was competing, it was reported his resting HR was 32-34. But, the lowest resting HR I have ever read about was documented in another professional cyclist: Miguel Indurain, 5-time winner of the Tour de France. He had a resting HR of 28 beats per minute! (source: Heart Rate Training, p. 30). The opposite is also true. In one study of middle-age men with no evidence of cardiovascular disease, a resting heart rate of 75 beats per minute or higher had 3.5 times the risk of sudden death compared to men with resting heart rates of less than 60 (Jouven X, et al. 2005). Thus, resting HR is also a powerful indicator of the "health" of your cardiovascular system. In fact, it appears to be a better measure of risk of cardiovascular events than other indicators such as cholesterol levels (Blair SN. 2009). 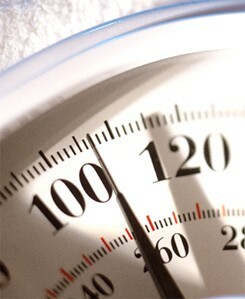 • Maximum Heart Rate: To repeat, do NOT do the running test unless you have a clean bill of health from your physician. Instead, use the formula by Tanaka et al. listed above. • Training Heart Rate: If you simply want to exercise for health benefits, you only need to exercise at about 50-60% of your maximum heart rate. However, if you want to improve your times in a 10-K race for example, then you need to push your HR into the 70-90% range periodically. Since it is very difficult to take your pulse when you are exercising this hard, use a heart rate monitor. • Recovery Heart Rate: Most research studies have evaluated recovery heart rates at 60 seconds after exercise ends. A slower recovery back to baseline heart rate signals an unhealthy or unfit cardiovascular system. • Resting Heart Rate: Take your pulse as soon as you wake up in the morning, preferably, without an alarm clock, and definitely before that first cup of coffee. Take it while you are still lying in bed; don't sit up. If you don't want to do a 60-second count, then do a 6-second count and simply add a zero. The definitive book on how to use your exercise heart rate to optimize your training is Heart Rate Training by Benson and Connolly.